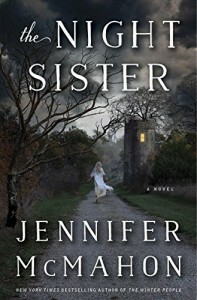 Jennifer McMahon's The Night Sister is a construct of two prime elements: plot and character. 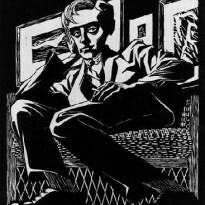 The two are entirely intertwined; just as character relies on plot for its development, characterization is also limited as a result of plot requirements. This produces unevenness as some characters are required only for certain specific aspects of the plot, and remain flat throughout many sections. Regardless of these shortcomings, the novel is a highly enjoyable dramatic suspense story. The novel opens with the apparent murder-suicide of Amy Slater and her family, with the exception of her daughter Lou, who is found hiding on the roof. A former friend of the killer's, Piper, returns to London, Vermont, to grieve and to help take care of her emotional pregnant younger sister Margot. Finding herself back in the town of her youth, Piper becomes involved in the mystery of the killings and uncovering secrets surrounding Amy's family. The novel is split into three distinct time periods: the present, a summer in 1989 when Amy, Piper and Margot were young teens, and 1959-1961, focusing on Amy's mother Rose when she was teen. The timelines are clearly indicated (a little too clearly), and though each period revolves around a central mystery, each section has a distinct story-line, which is an achievement. The present is somewhat less interesting than the two pasts and takes up less of the novel (excluding the framing sequences). In the present plot moves slowly as Piper, and on occasion Margot's cop husband Jason, pursue the mystery in brief spurts as each event leads us back to one of the two pasts. Moreover, characterization in the present is limited, as even Piper focuses mostly on her youth and youthful obsession with Amy, while Jason is stock and Margot is present and pregnant only to intensify the eventual climax. Characterization is strongest in 1989, where we focus primarily on the charismatic, impatient and unlikable Amy, mostly from Piper's point of view. As the girls interact in their corrosive relationship, they stumble on some fragments of Amy's family's past. Amy lives in the motel that her grandfather owned, the Tower Motel, named after the tower he had built for his British wife. Being also the central time period, 1989 is the link between present and the distant past, where the actual mystery begins to unfold. We learn in the 1959-1961 sections that Amy's mother Rose was jealous of sister Suzie, and moreover believed her to be a mare, a changeling able to take on animal form. Rose would follow her sister out to the tower late at night where she would be sneaking around, and hence giving us the novel's title. The ending is expected but there is nonetheless mystery along the way, as McMahon for the most parts builds upon suspense. The pacing is effective, generating momentum from complication to the climax. The final sequence I found lacking, but this is a symptom of the genre and not poor construct on the author's part. A requirement for the thriller, in book and particularly film, is that after the final reveal there is some kind of action, which rarely plays up to the rest of the work. Setting also plays key a role. The bulk of the novel is set at the motel and its accompanying tower, with limited time spent in other town spots. Like other elements, setting is important in relation to plot, since the movement of characters and their locations at specific points of the story are defined by the plot.